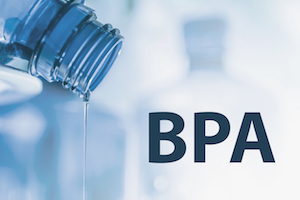 The U.S. Food and Drug Administration "jumped the gun" when it declared the chemical BPA safe for consumers earlier this year, experts from the Endocrine Society claimed Tuesday. The FDA asserted in February that its "initial review supports our determination that currently authorized uses of BPA continue to be safe for consumers." But the FDA made that statement without reviewing pending evidence from ongoing studies being conducted outside the agency, said Heather Patisaul, a professor with North Carolina State University's department of biological sciences. Further, the agency even shrugged off its own data showing that low levels of BPA could increase risk of breast and prostate cancer, said Laura Vandenberg, an associate professor with the University of Massachusetts Amherst School of Public Health and Health Sciences. "There are serious effects that were observed in the FDA core study, even in the groups that were exposed only to low doses of BPA," Vandenberg said. "Unfortunately, these effects seem to be dismissed by the FDA, often because they aren't observed at high doses." The FDA did not respond to a request from HealthDay for comment. The FDA study had been designed as a groundbreaking collaboration between federal regulators and academic scientists. In the study, researchers force-fed BPA to lab rats at varying doses and for varied amounts of time, out to two years. The effort was aimed at clearing up safety concerns regarding BPA, a chemical used to make plastic containers and the lining of food cans. BPA mimics the hormone estrogen in the body, and has been linked to reproductive, behavior and metabolic disorders, Vandenberg said. But the final report, which integrates the FDA data with results from academic studies, won't be released until fall of 2019, said Patisaul. She is one of the academic researchers involved in the final report. Some of the academic studies are still undergoing peer review. Despite this, the FDA issued a statement months ago based solely on its own data, which it referred to as "an important step for this consortium." But, Patisaul explained, "Now we're in the very critical phase where we have to take all of that information, put all of that data together, and come up with a conclusion for how BPA impacts our bodies. That will involve not only the FDA's core study data, but all of the data from the independent investigators." So, she added, "that's why there has been concern from the Endocrine Study and others that FDA is jumping the gun a little bit in its conclusion that BPA in food packaging is safe, because the data has not yet been integrated." The FDA statement did note that the integrated report would be released in the future, but Patisaul said that by issuing the statement, the agency had essentially established a firm position in favor of BPA's safety. "The FDA has put a stake in the ground. They have said BPA is safe. And they are very reluctant to back away from that stake, because doing so requires them to admit, essentially capitulate, that they got it wrong the first time," Patisaul said. However, even within the FDA's own data there's reason to doubt BPA's safety, Vandenberg said. The FDA data shows that at low doses, BPA increased the incidence of breast cancer, prostate inflammation and kidney disease in lab rats, she explained. For example, more than 20 percent of rats exposed to a low dose of BPA developed breast cancer, and about 45 percent had increased prostate inflammation at a similarly low dose, according to Vandenberg. The FDA might have disregarded these findings because there wasn't a clear dose-response relationship, in that the health risk from BPA failed to increase with the level of the dose, she noted. But substances that affect the hormone system often only show effects at low doses (where the body mistakes the substance for an actual hormone) and high doses (where levels become toxic), she said. "The reality is not a linear relationship between dose and effect, but a U-shaped relationship," Vandenberg explained. Patisaul said that consumers worried about BPA safety can protect themselves by using less plastic, instead storing food in glass containers. They also can avoid handling thermal paper receipts or microwaving food in plastic containers. "If you're really worried you can avoid canned foods, particularly things like tomatoes that are acidic and react with the lining," Patisaul suggested.